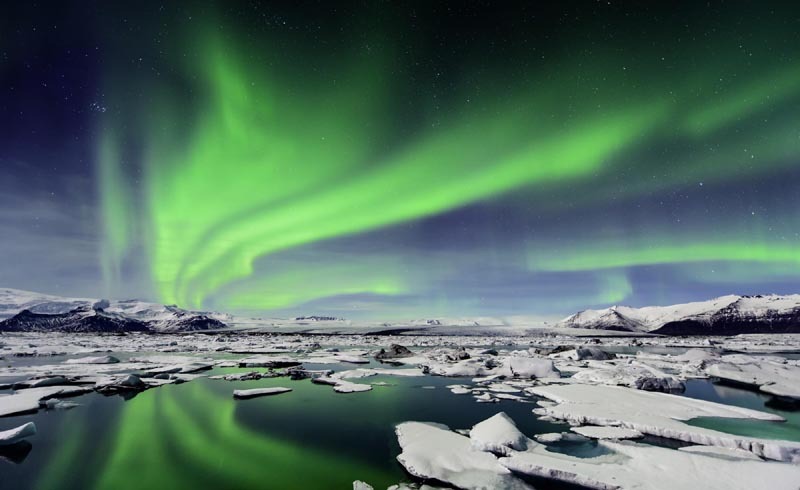 Iceland is regarded as one of the world’s most expensive destinations, but by planning ahead and spending efficiently, visitors can experience the beauty of the country at a reasonable cost. Iceland has gained a reputation as one of the world’s most scenic destinations, but getting to those waterfalls, volcanoes, and glaciers can blow a hole in your budget if you’re not careful. Visiting Iceland on a budget doesn’t mean you have to sacrifice experiences. It merely requires efficient spending and a willingness to be flexible and independent. Read on for more tips on how to enjoy the country’s beauty on the cheap. Lodging and car rentals are typically two of the biggest costs in a trip to Iceland. To get the best bang for your buck, combine them both! Several companies offer campervan rentals which come with camping gear included, or have a fold-down bed in the back of the van so you can break out your inflatable pillowand catch a solid night’s rest. Sleeping in the vehicle means you won’t have to pay upwards of $100 a night for a room. Just be careful where you park. While some online sources claim that tourists can park anywhere they like, the law changed a few years back and now visitors must park in “organized campsites or urban areas.” Campgrounds are numerous around the country and typically cost less than $15 USD per night. Very adventurous travelers sometimes rely on Iceland’s public bus system to get around the island instead of renting a car or van. Your mileage may vary with this technique, depending on what part of the country you intend to visit. In Iceland, the most basic meal at a sit-down restaurant will cost close to $20 USD per person. A slightly more upscale meal can go for twice that amount. Instead of eating every meal out, score huge savings on your food budget by avoiding restaurants. Pre-made salads or sandwiches at grocery stores and gas stations only cost a few bucks. Most gas stations have hot pizza and hot dogs for about the same price. Many campervan rentals come with a gas stove, so you can pick up groceries at the local Bonus market and cook your own meals. Do the same if you’re staying in a hostel or Airbnb with a kitchen. After saving money eating several meals in, go ahead and splurge for a traditional Icelandic meal if you’d like—try the lamb stew and, if you’re really brave, the fermented shark. Just make sure to balance out your occasional restaurant visits with cheap meals during the rest of your stay. One of the golden rules of budget travel is to visit destinations during non-peak season. That definitely applies in Iceland, as lodging and vehicle rentals can be cheaper outside of the popular summer months, especially when booked in advance. If you have flexibility with your travel dates, wait for a sale before booking a flight. WOW Air and Icelandair both have frequent sales from various cities in the U.S. and Europe, so you can save hundreds by waiting for a flight discount. Bring a carry-on bag to save on baggage fees. Tourists can also save a few bucks by skipping guided tours. 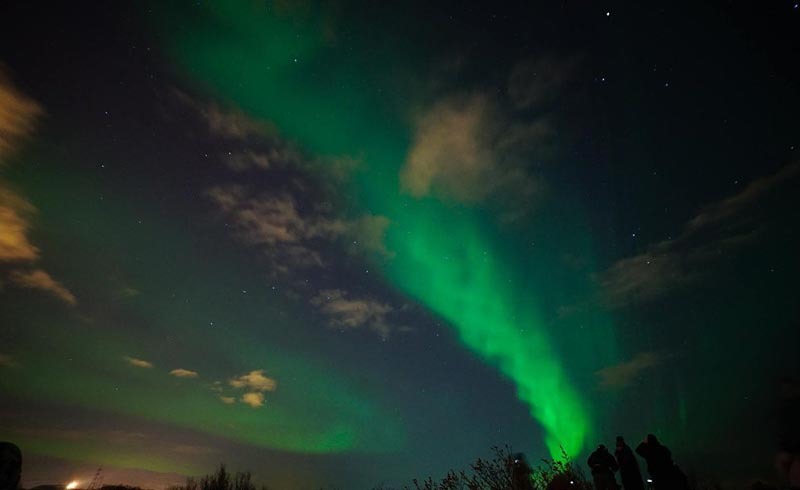 If you’re just visiting roadside waterfalls or volcanoes, or looking up into the sky to view the Northern Lights, there’s no reason for a guided tour when you can do those activities on your own for free. Save the paid tours for activities that truly require them, such as glacier hiking, where you’ll rely on the wisdom of guides to steer you away from crevasses and other hazards of the ice. Don’t forget these cheap Iceland tips. The tap water in Iceland is clean and safe, so purchasing water is unnecessary. Carry a water bottle in your pack and refill it as you go. As for alcohol, buy it at the airport to save money, or stick to happy hour. Finally, the Blue Lagoon ranks as one of Iceland’s most popular tourist attractions, but the famous outdoor spa heated with geothermal energy costs more than $65 USD for a basic admission. You can visit other spas around the country for much less. Or take a dip in the smaller heated outdoor pools in any local community for just a few bucks. Keep these tips in mind if you want to plan out an affordable and memorable Iceland visit!